Happy Cyber Monday! I personally prefer today's sales over Black Friday, mostly because the whole point of it is that you can shop online, and you can do it in your pajamas. And no waiting in line! 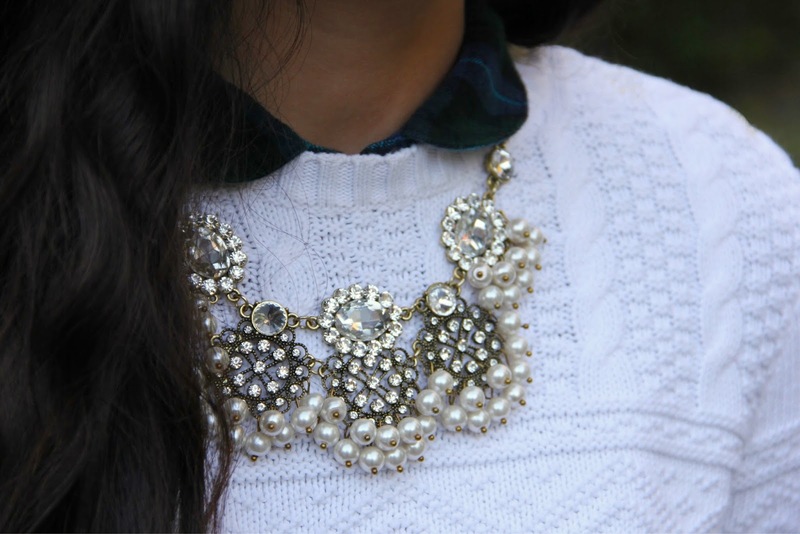 I'm in love with this pearl and gemstone statement necklace from Marley Lilly. This necklace, along with a pair of matching earrings, is Marley Lilly's free Cyber Monday gift with a $50 purchase. I'll be wearing this sparkler all season long to all my special occasions!